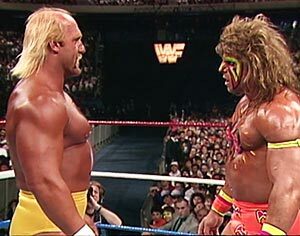 Alongside Hogan and Savage, The Ultimate Warrior was one of the most recognizable and biggest fan favorites from the 80’s and early 90’s era of the WWF. He was born James Brian Hellwig on June 16, 1959. Born in Crawfordsville, Indiana, Hellwig was the eldest of five children. His father left the family when he was twelve. Hellwig was raised by his mother and, later, his stepfather. He wrestled under a variety of ring names but is by far most recognized for his run as The Ultimate Warrior. Sadly, Warrior would not live to see 55 years old. His death came one day after he gave a bone chilling speech on Raw. Brian Hellwig did not begin his career as a professional wrestler. He started as an amateur bodybuilder. He began lifting weights at the age of eleven in order to overcome being, in his own words, “the small insecure kid who wasn’t into any sports.” Hellwig would go on to compete in various bodybuilding contests. He won the AAU Costal USA contest in 1983 and the NPC Mr. Georgia crown in 1984. In 1985, while training in California for a bodybuilding contest he received an invitation to join a group of bodybuilders in forming a professional wrestling team. He accepted and left behind both his bodybuilding career and his ambition to be a chiropractor. The team of former body builders started out as Powerteam USA but later became known as The Freedom Fighters. Hellwig was billed Jim “Justice” Hellwig. The next professional iteration of the team was The Blade Runners. Hellwig and Steve Borden fought in the Continental Wrestling Association (CWA) as Blade Runner Rock and Blade Runner Flash. 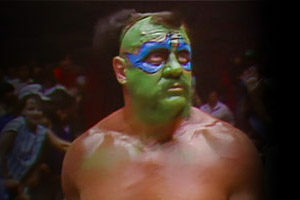 Renaming himself Dingo Warrior, in 1986 Hellwig began wrestling with World Class Championship Wrestling (WCCW). He chose his name when someone remarked that he looked like a warrior. 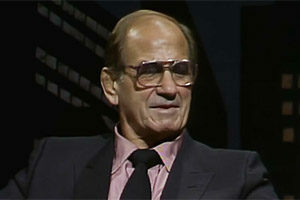 In 1987 Hellwig began a long and tumultuous career with the World Wrestling Federation. 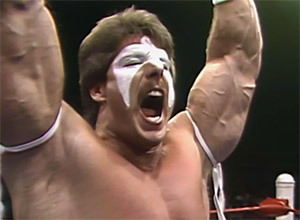 Vince McMahon is credited for giving him his name as “The Ultimate Warrior”. The Ultimate Warrior was known for his patterned face paint and his high energy entrances into the ring. Warrior debuted on October 25, 1987. He won both the inaugural SummerSlam in 1988 and the Survivor Series of that year. The Ultimate Warrior feuded with Rick Rude at the Royal Rumble in 1989, was defeated by Rick Rude at WrestleMania V and regained the Intercontinental championship at SummerSlam in 1989. In 1990 The Ultimate Warrior began a string of victories. He defeated Hulk Hogan at WrestleMania VI. Randy Savage lost to The Ultimate Warrior and was kayfabe-retired by him at WrestleMania VII. He also feuded with The Undertaker. When Jake “The Snake” Roberts turned on The Ultimate Warrior in the midst of his feud with The Undertaker, the stage was set for a Jake Roberts/Warrior feud. That would not come to fruition. The Ultimate Warrior was suspended by Vince McMahon on August 26, 1991. The dispute was over Warrior’s contract and royalty rights. 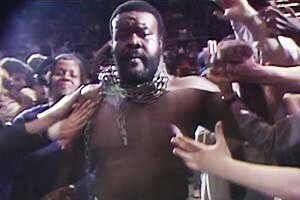 Warrior refused to accept the suspension and left the WWF in October of 1991. 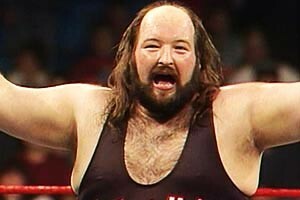 He remained under contract with the WWF until 1992. Hellwig spent 1992 through 1996 in a sort of semi-retirement. He took the opportunity to open a professional wrestling school. He also appeared in a movie and wrestled in independent shows. The Ultimate Warrior made a return to the WWF in 1996. 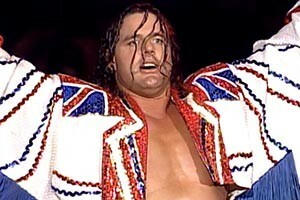 He defeated Hunter Hearst Helmsley at WrestleMania XII and defeated Jerry “The King” Lawler at King of the Ring. His return did not last long. Hellwig had his contract terminated after missing house shows due to taking time off after the death of his father. 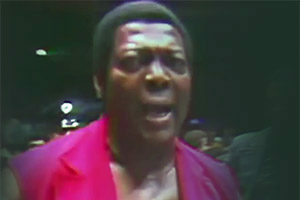 Vince McMahon claimed that Warrior was not close to his father and used his death as an excuse. 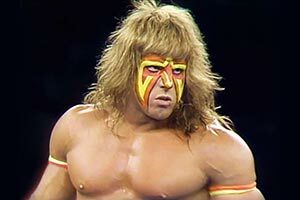 The Ultimate Warrior claimed that he did not appear in those shows due to a dispute over merchandise royalties that he was owed. 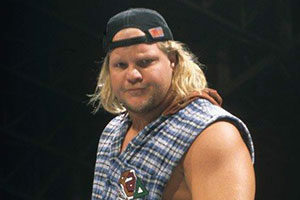 After being dropped from the WWF, Hellwig signed with WCW in 1998. He only wrestled in three matches. After the WCW, he spent his retirement writing a comic book, doing motivational speaking and maintaining a blog. He was noted for his sometimes controversial conservative political statements. Before The Ultimate Warrior death news, he came to a sort of peace with the WWF. He announced on YouTube in February of 2013 that he would appear at WrestleCon and WrestleMania 29. He spoke warmly about Vince McMahon. In July of 2013 he was featured in the WWE 2K14 video game. The Ultimate Warrior death occurred in Scottsdale Arizona on April 8, 2014. Warrior’s death came just days after being inducted into the WWE Hall of Fame. He collapsed at 5:50 pm while walking with his wife to their car in a hotel parking lot. He was rushed to the hospital but could not be saved. The cause of death was a heart attack due to atherosclerotic cardiovascular disease. He was 54 years old. 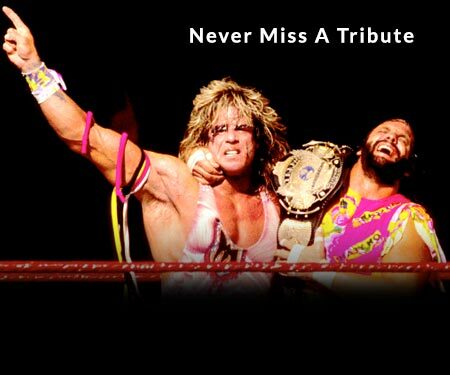 The Ultimate Warrior death shocked WWE fans around the world. Brian Hellwig was survived by his wife and two children. He summed up his own legacy in his final appearance on Raw (eerily, the day prior to his death). No WWE talent becomes a legend on their own. Every man’s heart one day beats its final beat. His lungs breathe their final breath. And if what that man did in his life makes the blood pulse through the body of others and makes them believe deeper in something larger than life then his essence, his spirit, will be immortalized… the spirit of Ultimate Warrior will run forever! Have a comment about Warrior? Sound off in the comments section below!